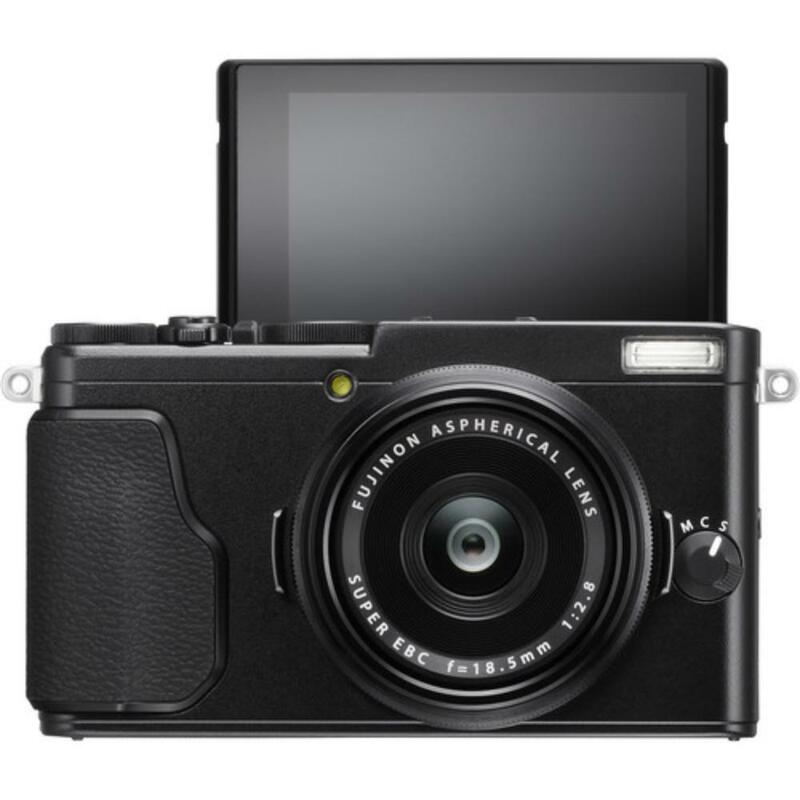 The Fuji X70 Mirrorless Digital Camera is a small and convenient point-and-shoot with the APS-C sized sensor most commonly found in much larger DSLRs. 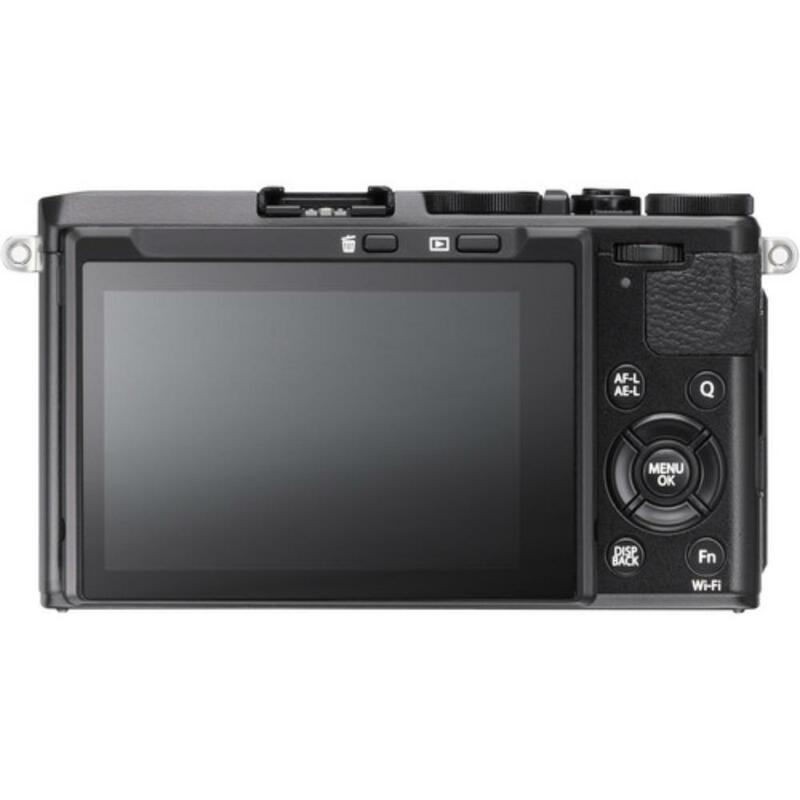 It produces a high degree of image sharpness and clarity as well as a nuanced color palette with smooth tonal transition, making this a great camera for recreating the beauty of nature. To go with this, the X70 maintains the Advanced Filters that many Fuji users know and love, including Provia, Velvia, and Astia film simulations. The built-in wide angle prime lens is just long enough for undistorted portraits but wide enough for vistas, interiors, and events. The fast f/2.8 maximum aperture is great for low-light shooting. 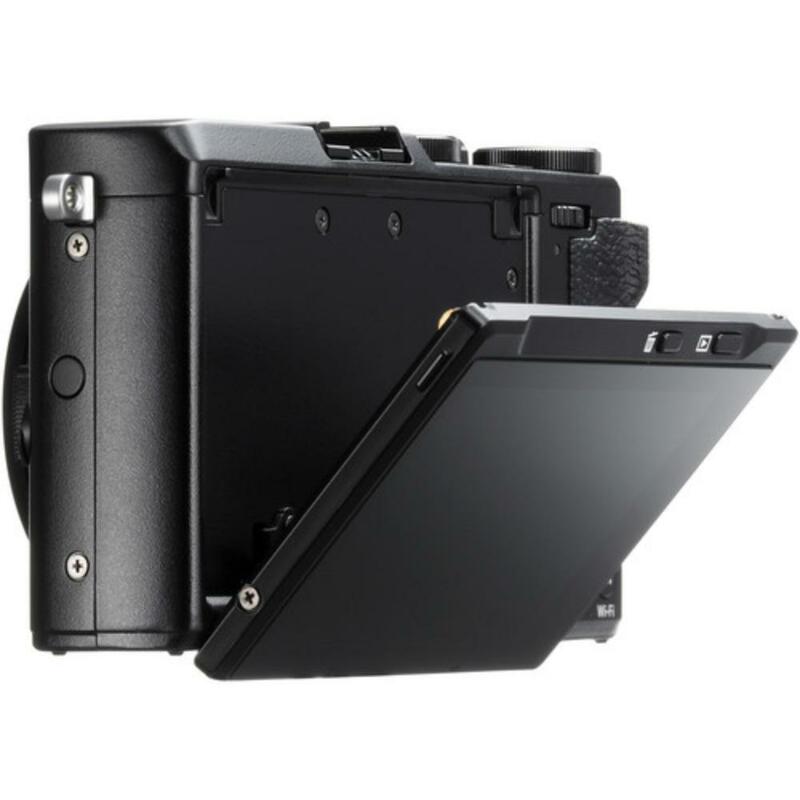 The compact body profile of this camera incorporates a range of manual controls on physical dials for simple operation, including an intuitive means for manually selecting aperture and shutter speed settings. This feature is great for seasoned shooters who long for the tactile experience of older cameras or for beginners and students who need the clearest guide to changing core settings. Pull more functionality out of the fixed lens with the digital teleconverter function, which can be applied to simulate the field of view of 35mm and 50mm equivalent focal lengths when working in Program, Aperture Priority, or Shutter Priority modes. Scenes will result in maximum detail thanks to the omission of the optical low-pass (anti-aliasing) filter. Under normal shooting circumstances, the optical low-pass filter prevents the instance of moire patterns from showing up in your images of tight-patterned objects, such as fabrics. The benefit of removing these anti-aliasing properties for the X70 is maximum sharpness for RAW files. 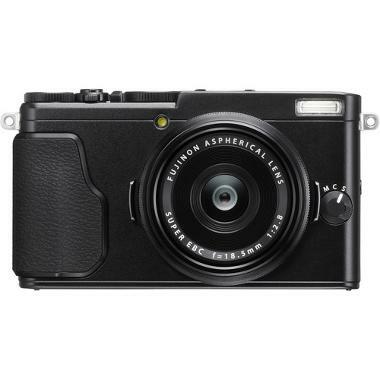 This camera is ideal for travel and street photography or just high quality everyday shooting. • This camera has a built-in 18.5mm (28mm equivalent for 35mm format) f/2.8 Fujinon lens and you will not be able to remove it for other lenses. • Continuous video shooting is possible for approximately 27 minutes (limited by product specifications, default setting).